From the below chart of Cotton (Daily continuous contract), prices is formed a basing pattern particularly known as double bottom (marked on the above chart). 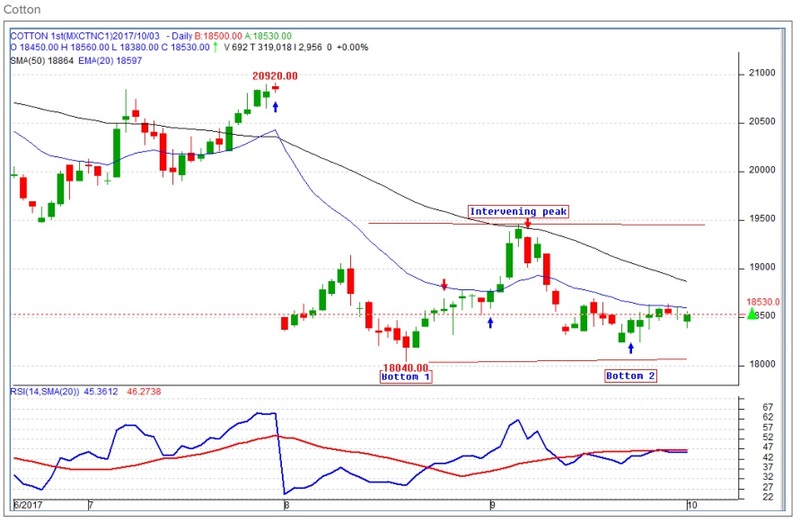 It is now imperative for prices to break and close above 19500 to open positive possibilities which will complete the pattern. Momentum indicator RSI is below the center line as of now. However, any move below 18040 will negate the pattern, thus resuming the downtrend.